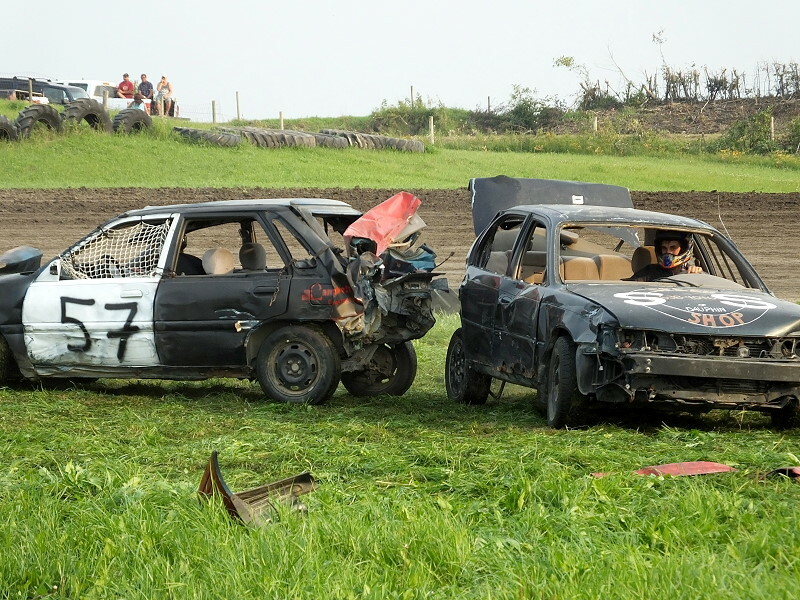 The Swan Valley Stock Car Club hosted their season ender on Saturday, August 29, 2015. 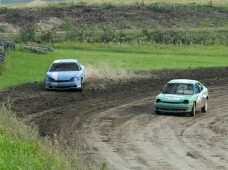 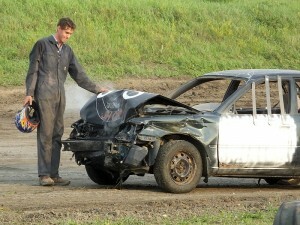 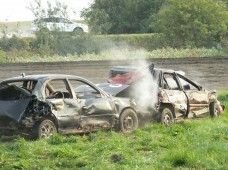 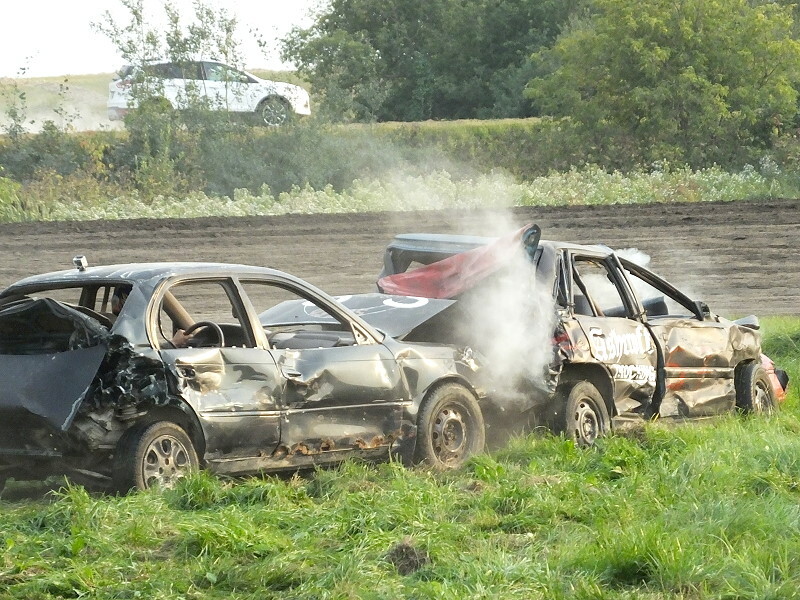 The club capped off the season with a 4 cylinder demo derby – crashing and smashing until only one car was left running. For one last time this year at the Swan Valley Speedway stock cars tore up the track. After 12 heats of 8 cylinder and 4 cylinder races, the drivers entered the pits for the last time this season. 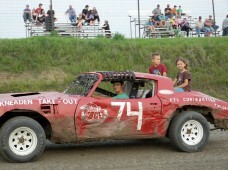 After the races, fans gathered in the pits to talk to the drivers. 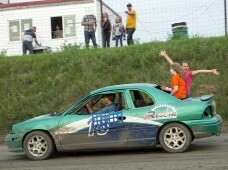 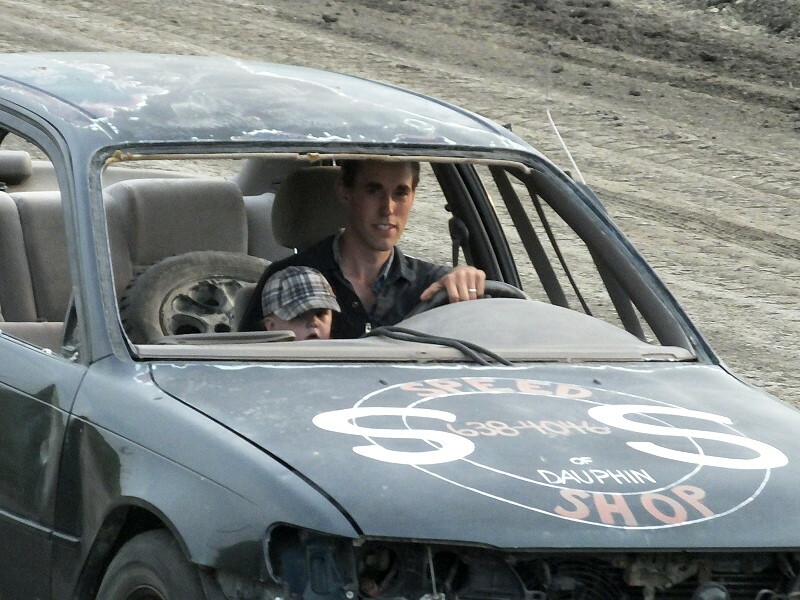 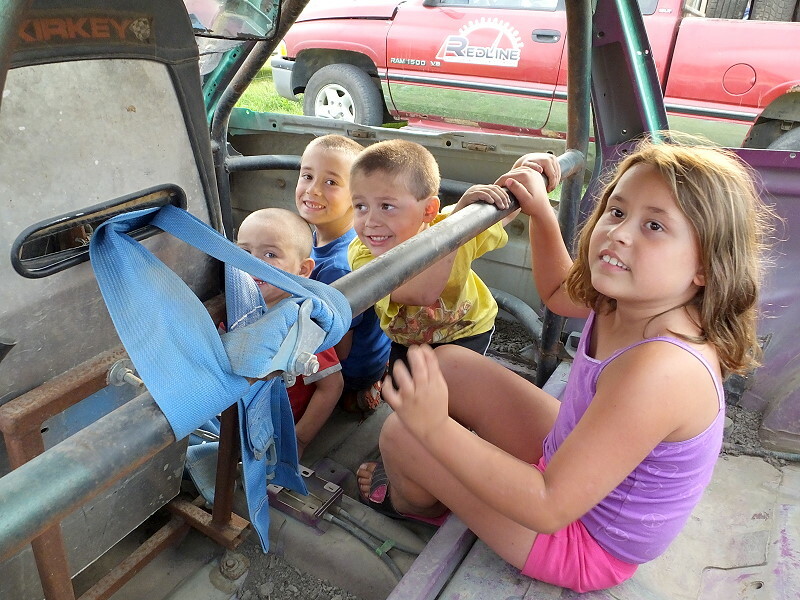 A highlight for the kids is the opportunity to take a ride in the stock cars. The season ended with a bang with 3 cars dueling in a fight to the finish.